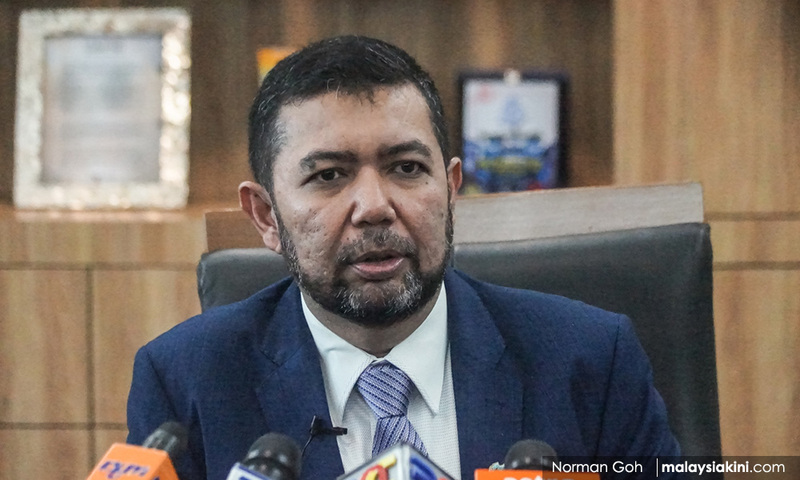 Deputy Foreign Minister Marzuki Yahya said today he would leave it to the police to investigate a claim by a Facebook account holder that he had deceived the people by stating he had a Bachelor of Business Administration degree from the University of Cambridge. He said he would produce proof he had pursued a course in the field at the university. “I regard this as a political game. I don't feel like commenting much about this. Let’s leave it to the police. The important thing is for me to discharge my duty well without any problem. It is important that we give preference to our duty, responsibility and country. "InsyaAllah (God willing), I will produce the proof, but not report to him. I will prove it, no problem,” he told reporters when approached at the Chinese New Year "open house" with Finance Minister Lim Guan Eng organised by the Penang Chinese Chamber of Commerce in George Town. Political activist Muhsin Abdul Latheef yesterday lodged a police report over a Facebook account holder’s claim in a Feb 3 post that the University of Cambridge did not offer a distance-learning programme in business administration that Marzuki claims to have pursued. Marzuki, who is the Penang Bersatu chairperson, brushed aside the claim as another usual irritation in his political journey.